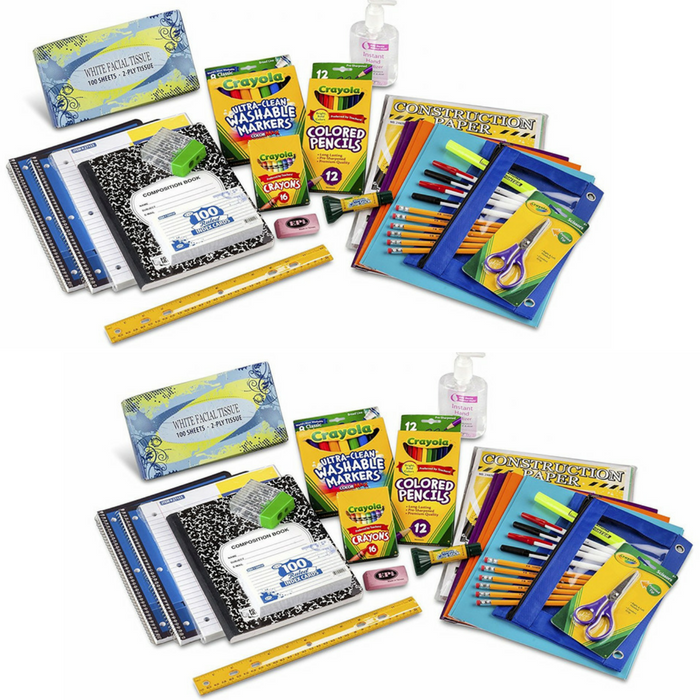 Third Through Fifth Grade Classroom Supply Pack Just $23.99! Down From $30! You are here: Home / Great Deals / Amazon Deals / Third Through Fifth Grade Classroom Supply Pack Just $23.99! Down From $30! Head over to Amazon where you can score this Third Through Fifth Grade Classroom Supply Pack for just $23.99 down from $29.99 PLUS FREE shipping with Amazon Prime or for orders over $25! Crayola Third Through Fifth Grade Supply Pack comes complete with the art supplies and accessories essential for elementary school artists. Kids will have what they need for projects, homework and creative time. Check out what’s on the pack!